Elizabeth lived with a father experiencing mental illness. Her book “Implosion: A Memoir of an Architect’s Daughter” is a survivor’s story. She reminds us that we, too, can experience freedom from a terrible experience and even feel compassion for others’ suffering. Elizabeth suggests that we notice life outside of ourselves and open our hearts of compassion. Elizabeth Garber’s memoir, Implosion: A Memoir of an Architect’s Daughter (2018) focuses on how her family was caught in a collision between modern architecture, radical social change, and madness in the turbulent 1960s and 1970s in Cincinnati. Maine author Monica Wood, author of The One-in-a-Million Boy said about this book, “I was riveted by this story of an adoring daughter struggling to escape the dominance of her brilliant, charismatic father. Garber writes beautifully about the layered complications of family love.” In this powerful memoir, Elizabeth Garber describes her father’s deepening mental illness, the destruction of her family, and her own slow healing from his abuse. Beautifully written and heartbreaking, Garber’s memoir is also a survivor’s story?about a young woman trying to rescue her family and herself. Now a mother and a healer, Garber’s story offers the hope that we can process trauma and move on, that we can each become the architects of our own lives. Garber is also the author of three books of poetry, and three of her poems were read on NPR’s The Writer’s Almanac. She received a MFA in creative non-fiction from University of Southern Maine’s Stonecoast Masters Program. 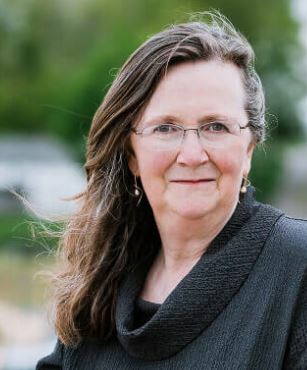 She has maintained a private practice as an acupuncturist for over thirty years in Belfast, Maine.